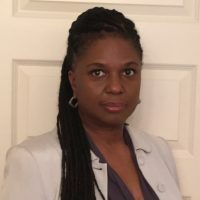 Shelley-Ann John is the Director of Strategy and Innovation with responsibilities of overseeing the implementation of the clinic’s strategic plan, the identification of innovative opportunities, strategic partnerships, grant and proposal writing, business development, marketing and communications and the management of projects. Shelley-Ann is a candidate for the Doctorate of Business Administration (DBA) degree from Athabasca University. Her dissertation is on the topic of sustainability performance, disclosure and engagement with local communities on infrastructure projects.